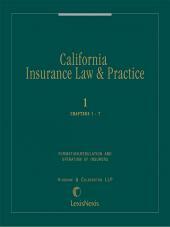 5-volume work combines analyses of insurance compliance requirements, insurance coverage substantive law and practical guidance for the practice of all aspects of insurance law in California. Kristina Alexander is a Sr. Research Counsel at the Mississippi Law Research Institute at the University of Mississippi School of Law. She writes and publishes frequently on insurance law, natural resources, and hazardous waste issues. Prior to joining the University of Mississippi School of Law she was a Legislative Attorney for the Congressional Research Service in Washington, D.C.
Richard De La Mora is a partner in Hinshaw & Culbertson LLP's Los Angeles office, and has been with the firm since 1987. He advises insurers on regulatory matters and represents them in administrative proceedings involving matters related to rating, underwriting, market conduct examinations, and financial accounting issues. Mr. De La Mora also represents insurers in judicial proceedings, including class actions, involving their rating, underwriting and claims related activities.  Additionally, he represents managed health care plans in disputes with hospitals and other health care providers. Peter J. Felsenfeld is a litigation associate in the San Francisco office of Hinshaw & Culbertson LLP. He has experience in a broad range of civil litigation matters before both state and federal courts, particularly in the areas of insurance coverage, reinsurance, contractual disputes, bad faith liability and general business litigation. In addition, Mr. Felsenfeld is involved in areas of legal ethics, including attorneys' fees litigation and consultation. Larry Golub is a litigation partner in Hinshaw & Culbertson LLP's Los Angeles office. His practice focuses on a wide range of litigation matters for insurance companies and non-insurance clients. His insurance expertise includes coverage litigation, class action litigation and appellate practice, as well as California Unfair Competition Law 17200-17210. His non-insurance experience includes employment litigation and construction litigation. Mr. Golub speaks regularly on insurance-related claims handling topics for continuing legal education providers, clients and trade organizations. He is co-editor of Barger & Wolen's Insurance Litigation and Regulatory Law Blog. Robert W. Hogeboom is a senior partner in the Los Angeles office of Hinshaw & Culbertson LLP. He has been an insurance regulatory specialist since 1975, dealing exclusively with insurance regulatory, corporate and administrative matters. Prior to his legal career, he served as Assistant to the Campaign Director of then Governor Ronald Reagan's second gubernatorial campaign. Mr. Hogeboom's practice involves all aspects of insurance regulatory and administrative law, including transactional work, financial analysis, market conduct examinations, rate filings and hearings, disciplinary matters and insolvency issues. He represents numerous insurer and producer clients on regulatory and administrative matters. He has handled over 50 hearings involving disciplinary matters for producers and rate hearings and non-compliance actions for insurers before the California Department of Insurance and Office of Administrative Hearings. Following the passage of Proposition 103 in California in 1988, he along with Kent Keller and Steven Weinstein represented 63 insurers in connection with various administrative proceedings relating to insurer mandatory rate rollbacks, prior approval requirements and the development of the Proposition 103-related regulations. Mr. Hogeboom has also organized or acquired over thirty insurance companies for clients and counsels insurers on regulatory and corporate matters. Mr. Hogeboom has been a member of several California Department of Insurance task forces involving rate regulation and insurance producers. He has served as outside special counsel to The Alliance of Insurance Agents and Brokers, a California trade association comprised of insurance brokers and agents. He serves as the firm's liaison to prominent insurer trade associations such as the Association of California Insurance Companies and Pacific Association of Domestic Insurance Companies. He is one of the founding members of the Federation of Regulatory Counsel, a national group of prominent insurance regulatory counsel. He served as its President from June 2000–June 2001. 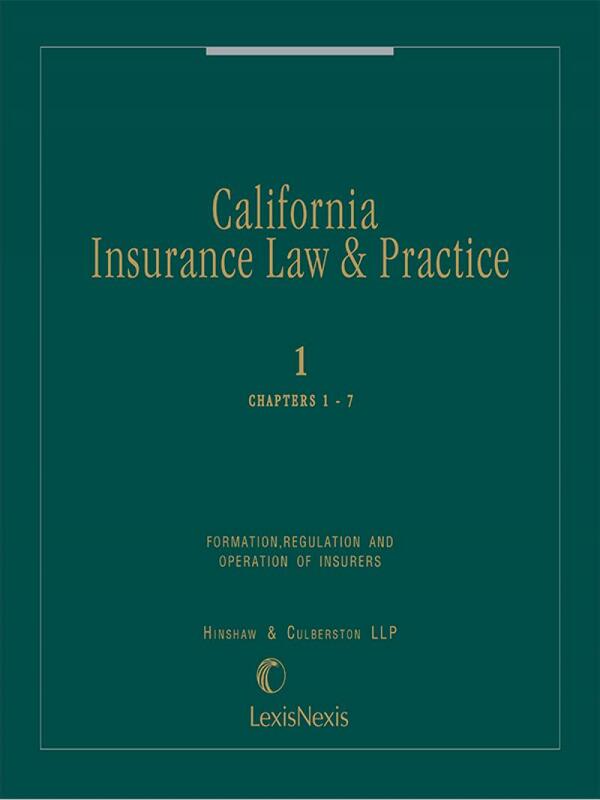 In 1990, Mr. Hogeboom served as President of the Conference of Insurance Counsel, a group comprised of regulatory counsel in southern California. He is also an approved lecturer on insurance matters for continuing education programs. He has authored articles involving market conduct settlements, consumer complaint regulations, broker fees and the federal Liability Risk Retention Act. Mr. Hogeboom has participated in numerous insurance seminars on various insurance regulatory topics and has been a featured speaker at insurance and education events, including the Association of California Insurance Companies, the Alliance of Insurance Agents and Brokers, the Federation of Regulatory Counsel and the Conference of Insurance Counsel. Stephen Klein is a partner in Hinshaw & Culbertson LLP's Los Angeles office, and has been with the firm since its inception in 1976. He is a business litigator specializing in the trial and appeal of disputes involving reinsurance, insurance coverage and bad faith claims. Mr. Klein has tried and arbitrated cases in California, Oregon, Connecticut, New York, Arizona and Michigan on behalf of insurers and reinsurers. Mr. Klein is admitted to practice before the United States District Court for Arizona, the Central, Southern, Northern and Eastern Districts of California, and the Eastern District of Michigan. He is also admitted to the Ninth Circuit Court of Appeals. Mr. Klein is an ARIAS certified arbitrator, and has spoken at national conferences on reinsurance, insurance coverage and civil litigation issues. Spencer Kook is a partner in the Los Angeles office of Hinshaw & Culbertson LLP. Mr. Kook has extensive experience in defending against class actions and challenges brought under California's Unfair Competition Act and Consumer Legal Remedies Act. He has also represented clients on a wide variety of issues, including contract disputes, false advertising, premium and commission disputes, RICO, wage and hour litigation, and attorney fee disputes. Mr. Kook also regularly represents insurers and other industry actors in administrative hearings before the Department of Insurance in dealing with prior approval rate applications, notices of noncompliance, orders to show cause, licensing matters and cease and desist orders. He also provides counsel on regulatory compliance issues, including those concerning claims handling and underwriting practices, special investigation unit regulations, rate and ratemaking issues, vehicle service contract regulation, and broker-agency issues. Royal Oakes is a partner in Hinshaw & Culbertson LLP's Los Angeles office. He has extensive trial and appellate experience in the fields of insurance and general business law, having litigated hundreds of cases in the areas of bad faith law and unfair business practices. A substantial part of his practice is devoted to the defense of class actions. Mr. Oakes has served as lead counsel in numerous appellate cases, including victories in the California Supreme Court and the federal Ninth Circuit Court of Appeals. He was lead counsel in Farmers Insurance Exchange v. Superior Court, 2 Cal. 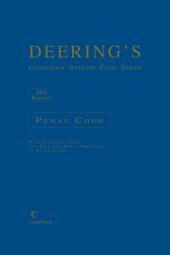 4th 377 (1992), in which the California Supreme Court established the doctrine of primary jurisdiction. 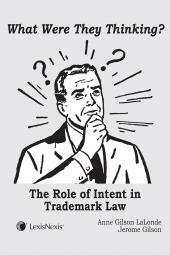 Mr. Oakes' most recent trials involved complex cases in both the property-casualty and life insurance fields. He won a bench trial involving a $1.5 million life insurance claim submitted by the heirs of an insured murder victim. He also won a jury trial involving a putative class action that alleged an automobile insurer's “direct repair program” violated the rights of policyholders.